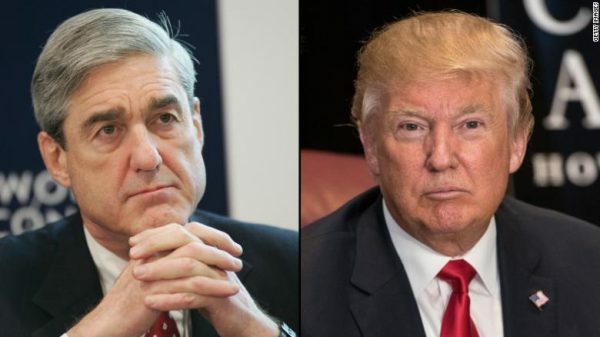 The special counsel’s Russia investigation is not only a political witch hunt but “an attack on our country,” President Donald Trump complained Monday, exhibiting mounting concern about the yearlong probe after federal authorities raided the offices of his personal attorney. “We’ll see,” he said, when asked if he might fire special counsel Robert Mueller. Cohen has been an ardent defender in Trump’s business, personal and political affairs for more than a decade — Cohen claims to have used a personal home equity loan to pay the adult film actress, known as Stormy Daniels — and the probe’s expansion into the president’s inner circle left Trump fuming. The raid on Cohen’s office was conducted by the U.S. Attorney’s office in Manhattan and was based at least partly on a referral from Mueller, according to Cohen’s lawyer, Stephen Ryan. Trump blasted the Mueller team as “the most conflicted group of people I’ve ever seen,” labeling most of them Democrats and saying the few Republicans had worked for President Barack Obama.